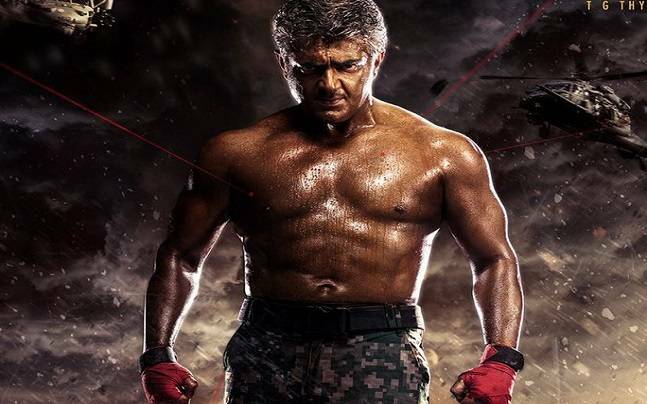 Yesterday it was officially confirmed that the much expected teaser of Ajith Kumar’s ‘Vivegam’ will be released on the star’s 46th birthday that is May 1, 2017. Now we get to know some interesting information about the music album and its probable release date. Sources reveal that Anirudh has worked with extra energy and care to ensure that ‘Vivegam’ becomes a memorable album in his career. The album will include five songs and one international theme music as the film is a International spy thriller and Ajith plays the role of an officer with an International anti-terrorist squad. There is also a mass intro number for Ajith in the film sung by Yogi B and this song, the source asserts will sure make everyone to dance in the theatres. While the film is expected to hit the screens on August 10 or August 24th the makers plan to have the audio launch either in the last week of June or the first week of July.We will have to wait for an official confirmation regarding the audio release. ‘Vivegam’ is a mega budget espionage thriller that is being produced by Sathya Jyothi Movies on a grand budget. Siva is directing the flick.